Many of our customers have dryer vents that terminate at the roof. This is most common in newer homes. New construction trends place laundry rooms in the middle of the house, on the second floor or in hallways which require very long runs to reach the termination point. In the past, laundry areas were located in the basement or on an outside wall. The dryer vent was only a few inches long in these cases. Now, we see dryer vents running 20″- 30’ or longer passing over, beside or under bedrooms and living areas. The cap used at a rooftop termination point is different than a dryer vent that terminates on the side of the house. These vent caps are shipped with a small screen at the opening. Most manufactures have a label on these types of vent caps that say if the vent cap is to be used for a dryer vent, to remove this screen. This is to prevent lint from building up on the screen, restricting or blocking airflow. Many times, this screen is left in place causing enormous lint build up. 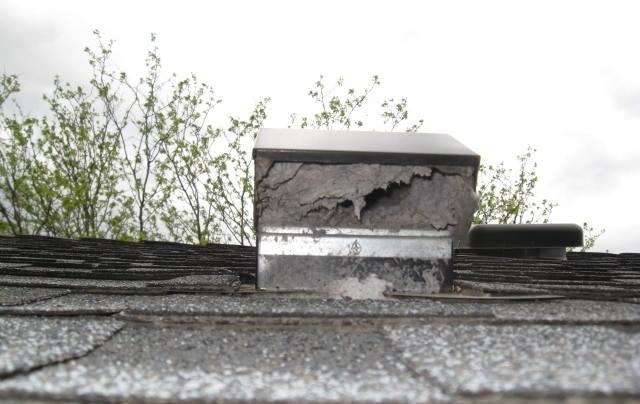 A professional dryer vent cleaning should always include inspecting the termination point, and in the case of a roof top vent, removing this screen and cleaning the vent cap. 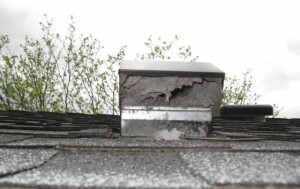 If you’re experiencing any of these problems, it’s time to have your vent cleaned and inspected. Be sure the service includes cleaning and inspecting the termination point.